American DJ has always been proud to call itself a company that has been created by DJ’s for DJ’s; and the introduction of their exciting new contest is just another example of how the company continues to give back to the DJ community whenever possible. In the American Audio VMS4 “4 Things I Love About DJing!” Contest, participants are invited to submit a video entry telling American DJ what they love about being a DJ, which can include anything from why they are passionate about the DJ business, what got them interested in becoming a mobile entertainer or even their most memorable gig. The story that stands out the most will score some incredible prizes, including the grand prize of an all-new VMS4 Velocity MIDI station from American Audio. American Audio’s VMS4 is an amazingly versatile 4-channel “MIDILOG” controller that fuses both MIDI and analog audio control into one unit. 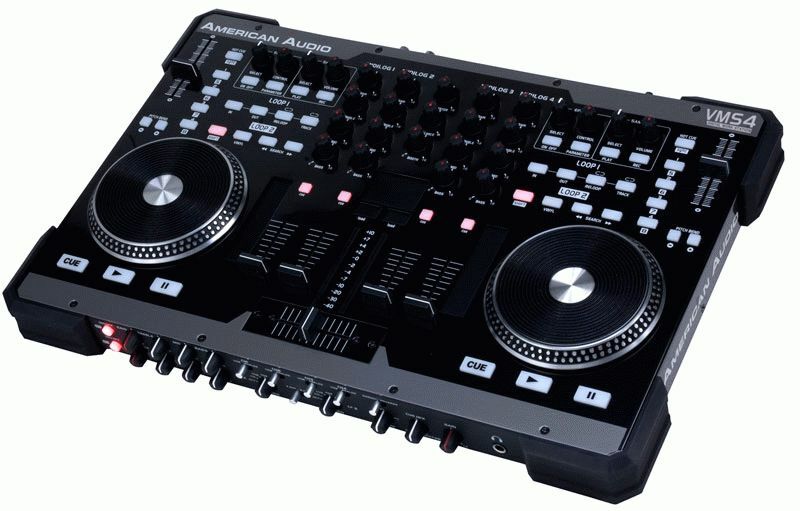 Billed as “the ultimate DJ performance tool” the VMS4 can be used with either a PC or MAC. If the computer crashes, it will kick into analog mode, where CD players or turntables may be used, or a DJ can use an external power supply. The unit can also be personalized with the option of customized skins. Along with all its high-tech features and all-around versatility, the VMS4 comes bundled with the Virtual DJ 6 LE Software, so DJs and mobile entertainers will need nothing more to get the party started right away. Viewers Choice Winner: Will receive 1 pair American Audio HP 700 headphones + your choice of 6 different Accu Cable Products (i.e. Speaker Cables, Mic Cables, DMX Cables or Extension Cables) + 200 ADJ Advantage Points. 10 Runners-up: Will receive 1 custom VMS4 banner from American Audio. This will be a separate drawing. One submission per video will be randomly drawn to determine DJ banner winners. To see the VMS4 in action, visit http://www.youtube.com/watch?v=seL-52mHqh0. For more information on the American Audio VMS4 “4 Things I Love About DJing!” Contest, including official rules, visit www.fucinipro.com/AmericanDJ/ADJBlast_june10/contest.htm.